Image by Dr. Chester Elijah Branch. The following piece is a guest post. Read more about MediaShift guest posts here. So you are a film student or filmmaker and you’re interested in telling a story that will stay with your audience beyond the “fade out.” Let’s say you want a webisode to go viral. Or, a couple of years ago, you heard Disney and Fox talking about transmedia. Now you’re wondering how to stay on trend with these big distribution companies. 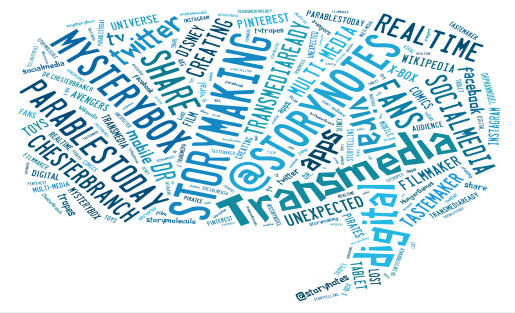 How would you even begin to write, shoot and produce a story that is “transmedia” ready? "This is the ultimate shift in transmedia screenwriting: writing toward an open culture of crowdsourcing. " There are four key elements you can pay attention to when creating your work that makes it easier to transition into something interactive and cross-platform. The first tip is to be sure the story you’re telling has what it needs to be transmedia. “The Periodic Table of Storytelling” reveals the elements of telling a good story. 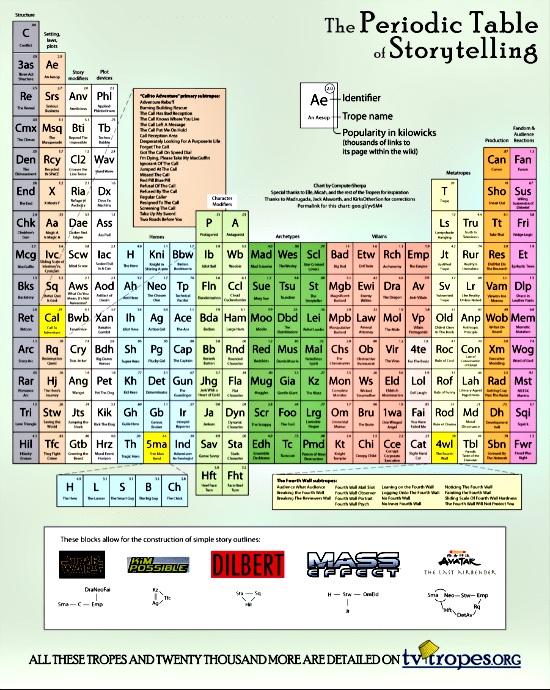 In the same way Dmitri Mendeleev designed the original periodic table – a graphic representation of all the basic building blocks of the universe – artist James Harris created a graphic representation of all the building blocks for a story universe — the Periodic Table of Storytelling. 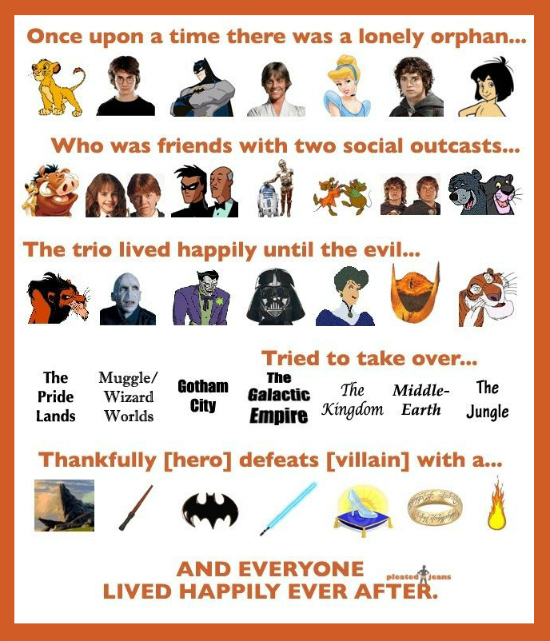 Harris has taken all the tropes; archetypes and clichés found in movies, TV, comic books, and literature and synthesized them into an elegantly realized chart. 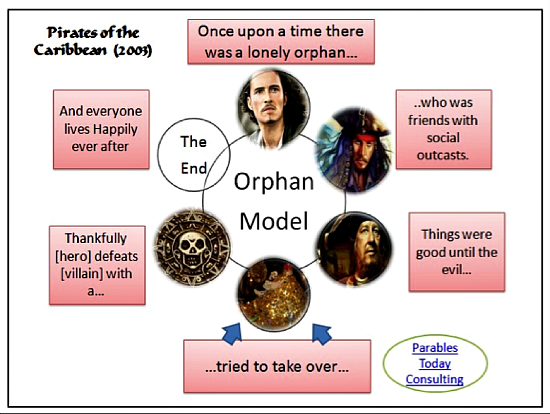 Of all these story molecules, the orphan model (the Star Wars molecule) has proven to be the most popular way to initiate a transmedia story world. In the states, Star Wars was considered one of the first and most influential transmedia story worlds. This model is often used by J.J. Abrams. Many, like Pont, talk at length about J.J.’s transmedia genius. Once you have developed this model, begin placing mystery boxes all around. This will help your story world link out into other media platforms. 2. CREATE MYSTERY BOXES WITHIN THAT WORLD. 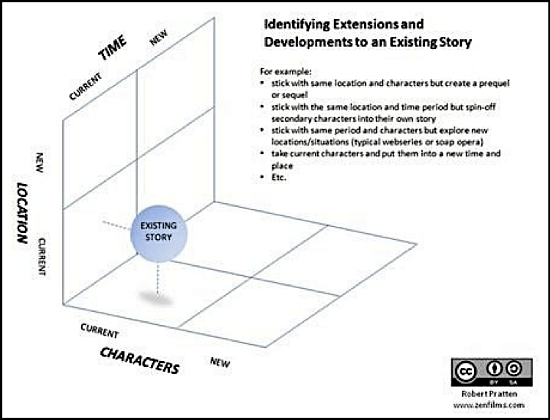 Robert Pratten made a good chart showing the different directions these mystery boxes can take you in your story world. Mystery Box is a term I’ve co-opted from the J.J. Abrams Ted Talk of the same name. Who is the orphan’s father? Why is the villain bent on destruction? Why are the outcasts outcasts? What-all powers do the MacGuffin(s) hold? How many are there? You do not have to even know the possibilities of opening the box. Joe Eszterhas said, “If you’re writing a mystery, let it be a mystery to you too” and Paul Haggis always tries to write toward questions instead of answers. 3. MASTER THE ANATOMY OF THE VIRAL VIDEO. Writer and analyst Kevin Allocca works with YouTube Trends, a spot for tracking the latest viral videos. He connects them to the communities that make the parodies, tributes and reply videos within the so-called viral planets of YouTube’s universe. Tastemakers + Community Remixing + the Unexpected = Viral Video. Tastemakers are mostly celebrities, talk show hosts, and news anchors (spend some PR bucks!). Community remixing refers to the fans on the various media outlets: It has to be easy to remix and share. The Unexpected means the story/scene/video itself has to have an M. Night Shyamalan twist in it. I do not have the data yet, but the people at Mullen who made a viral mother’s day video pointed some things out about their video break down. They introduced a twist 45 seconds in, and then their “M. Night” moment was three minutes in. I would suggest making the videos 3-4 minutes and doing the same. Four-minute videos share the best on social sites. 4. SHIFT YOUR EMPHASIS FROM STORYTELLING TO STORY MAKING. Encourage fan pages, real-time hashtag conversations with the characters, and wiki forums. The audience members are the story makers, and the audience has an audience. The research also shows that 91 percent of viewers would feel compelled to tune in more often for things happening in real time. This is the ultimate shift in transmedia screenwriting: writing toward an open culture of crowd sourcing. This is what makes the periodic table so appealing; it is the result of audience collaboration. As Lan Mochari points out, “the big problem with storytelling is it’s a one-way street” with your script or brand doing all the talking. Web 2.0 changed our world from one-to-many broadcasting to a many-to-many experience. Dr. Chester Elijah Branch is a best-selling author and Transmedia Architect, teaching transmedia courses internationally. He studied digital and social media marketing at Inbound2014. His Doctorate is from the School of Business with a focus on digital and social media strategy. His dissertation, Transmedia Education, was presented during the 2014 TranXmedia conference at the Hong Kong Design Institute where Dr. Branch was listed as a Transmedia Pioneer. The former President of both Paramount Pictures and Walt Disney Pictures endorsed his Transmedia eBook as a ‘must have’ guide to transmedia narratology. This post originally appeared as one of the most read articles on the Transmedia Coalition Exclusive site. Man, what happened to just writing…. I feel ya, Gary. But at the same time this allows us writers to be even more creative and keep lots of fun tricks up our sleeves. I enjoy delving into characters and I think this transmedia writing really allows the writers and fans to dive into the story world! Dr. Branch’s book is also another great read on this. Parable’s Today: A Christian’s Guide to Transmedia Screenwriting. I recently read it in one sitting (well, running…while at the gym). Point is, lots of good nuggets and tips for writers and storytellers! Dr. Chester Branch’s article gives great insight into the world of Transmedia. He breaks down the concepts making it easier to create a script that expands beyond one media outlet. Such a good article. Wow. I feel that after reading this article, I have a better understanding the creation of story making. Dr. Branch’s steps are great guidelines. Tropes and the Periodic Table of Story Elements take a superficial look at story and narrative, bound to all kinds of misinterpretation. If you would like to read a rebuttal to this kind of thinking, please feel free to google “narrative first trope”. I’ve tried to post the link earlier, but I fear it was categorized as spam.